Force-fed. Poisoned. Left to die. Just imagine, for a moment, the awful reality of life for animals languishing in Britain’s laboratories. The pain; the suffering; and, surely, the wish that it would just stop now. In 2015, researchers in Britain completed 4.14 million experiments using live animals. 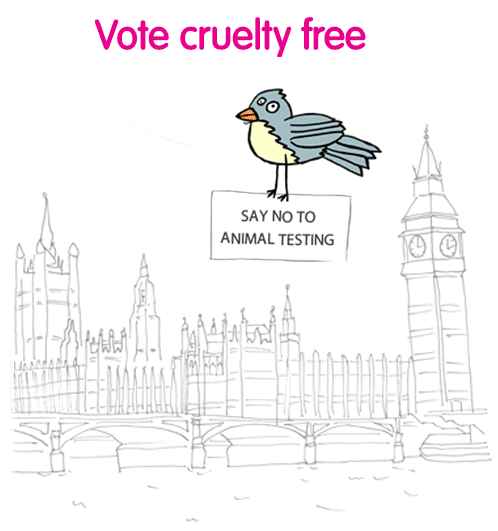 Let’s face it, animals in laboratories need all the help they can get. As the New York Blood Center’s (NYBC) largest corporate donor, MetLife has the power to compel the organization to reinstate funding for the 67 chimpanzees who they abandoned with no food or water. The holiday island of Mauritius is known for its beautiful beaches, tropical climate, heritage sites and wildlife. The Ministry of Tourism is working hard to boost the island’s image as a green ethical tourist destination. However, the international reputation of Mauritius as a holiday paradise is being overshadowed by its role as one of the world’s largest players in the cruel and controversial trade of supplying monkeys for experiments. In 2014, 8,991 monkeys were exported from the island, primarily to Europe and the USA. Did you know that tens of thousands of monkeys are held in farms across Mauritius? Many of these individuals were captured from the wild on Mauritius and are imprisoned in these farms, used for breeding to produce babies who will be transported to laboratories around the world. Denied their freedom in the lush foliage of their jungle homes, they spend their lives behind bars on concrete. The monkeys are shipped as cargo on airplanes in small wooden crates. In the laboratory, they may suffer the effects of poisoning after being forced to consume large quantities of chemicals or drugs in toxicity tests or face being subjected to major brain surgery, their skulls cut open and devices implanted into their brains. This controversial trade, worth less than 2% of Mauritian export, is economically insignificant compared with the income that Mauritius receives from its tourism industry. The Cruelty Free International Save Our Monkeys campaign is dedicated to ending this cruel exploitation of the Mauritius monkey population. Find out more and take action to help save the monkeys of Mauritius. The Government has announced today a cruel beagle breeding farm in Yorkshire can expand. 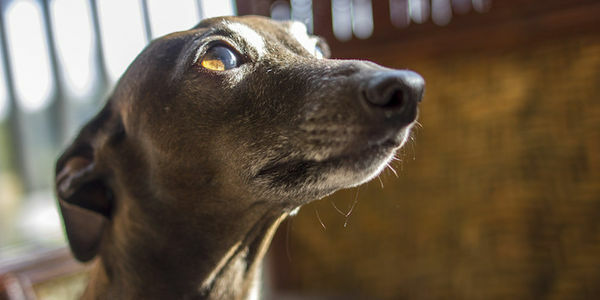 This decision means that thousands of dogs could be bred by Bantin & Kingman Ltd in the picturesque hamlet of Grimston – to suffer and die in experiments in the UK and Europe. It’s deeply disappointing. In January, their Italian sister company Green Hill, saw three executives convicted of animal cruelty at a similar beagle breeding farm. Bantin & Kingman not only shares the same parent company as Green Hill – Ghislaine Rondot, one of the executives to receive a prison sentence in Italy for animal cruelty, was also its Director. Please sign the petition, show the government that we condemn their decision in the strongest possible terms. 3.554 puppies and dogs suffered and died in 4,779 experiments in Britain in 2013 – let’s stop this from happening, let’s end the misery suffered by thousands of dogs who spend their days confined inside laboratories. Please sign the petition calling for a ban on the use of dogs and cats in UK laboratories now. Dogs and cats petition | Cruelty Free International. Right now there are thousands of monkeys held captive in the breeding farms of Mauritius. They will spend their lives producing babies, like these two monkeys known only as CM27 and CM28 who were exported from Mauritius to a research laboratory in Europe. Three months later they were dead. They never got to experience a life in the wild and sadly never will.In the three short months these monkeys were at the laboratory, they experienced unimaginable suffering.A ‘head chamber’ was surgically implanted into their skulls, resulting in swelling and bleeding wounds which became infected with MRSA.Clearly distressed by the foreign objects implanted into their heads, the monkeys often picked at their wounds, obviously in great discomfort. After being used in one last experiment, they were both killed on 4th December 2013, they were only 5 years old. December 4th, marks the one year anniversary of their deaths. Sadly, it’s too late for them, but we don’t want them to be simply forgotten. We want to use this time to raise awareness about the plight of the many thousands of other monkeys who are still confined inside the breeding farms of Mauritius awaiting their fate. Will you help us? We need to speak out for the monkeys of Mauritius and ensure that the sad lives of those like CM27 and CM28 were not in vain. Their lives were ones of misery and suffering but you can help our campaign to save others from the same fate. Every year hundreds of cats and thousands of dogs suffer and die in cruel experiments in the UK. The BUAV believes this should end. And there’s a further issue. Other animals may be used but are not killed as part of the experiment. Still others are bred for research but not used and considered ‘surplus to requirements.’ However, without any effort to release or find homes for them outside the laboratory, these animals are simply killed – denied the opportunity of freedom. Bonnie and Billie, pictured above, are two female beagles used and discarded by an industry that treated them as nothing more than breeding machines to produce litter after litter of puppies for the research industry. In August 2013, they gave birth to 11 puppies, all of whom were used in an experiment and dead in just a few weeks. Bonnie and Billie, no longer serving a purpose, were due to be killed also. However, they are the lucky ones – thanks to the BUAV they were saved from death, along with Oliver, a 5 month beagle puppy. via Petition · Please ensure dogs and cats who are “no longer required” are released by laboratories · Change.org. Oh yes, you read the headline correctly. The Canadian Food Inspection Agency (CIFA) has forced the popular Field Roast Grain Meat Company to cease distribution of its vegan products in Canada. Why? Because they haven’t been tested on animals. CIFA thinks these products are in fact simulated meats. If they are, they have to be labeled that way. To ensure an accurate label, the products must comply with certain protein standards before they can be sold to the public. In short, they have to approximate the protein in meat. Really, CIFA? Why does animal meat protein levels have to be the holy grail protein goal for all food types? Why can’t you trust consumers to choose their own protein sources? Do you think vegans and vegetarians can’t read labels? via Canada Says Vegan Company Must Test on Animals to Sell its Food There | Care2 Causes. Stop the cruel Mauritius monkey trade! 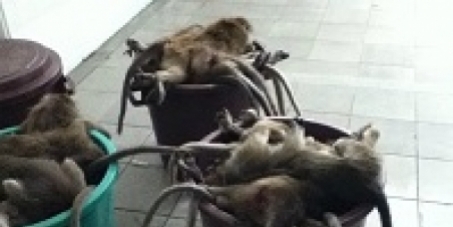 via Avaaz – Stop the cruel Mauritius monkey trade!. Mauritius is the second largest supplier of monkeys for the research industry in the world, exporting up to 10,000 animals every year. These animals are exported primarily to the USA and the European Union, in particular the UK, France and Spain. The BUAV has uncovered the slaughter of hundreds of monkeys, considered ‘surplus’ to requirement, including pregnant females and youngsters, at one of the largest primate breeding companies on the island, Noveprim Ltd. This senseless slaughter is just one part of the cruel trade in primates from the island. An earlier investigation carried out by the BUAV obtained evidence of the cruelty and suffering involved in the trapping and breeding of wild monkeys on Mauritius. They are torn from their families and jungle homes and imprisoned in unnatural conditions in large facilities, to produce babies who will later be exported thousands of miles to laboratories around the world to suffer in experiments.